Relaxing – that hasn’t been happening a lot lately. But after a frenetic morning catching up on washing, shopping, cooking, cleaning, I decided that I would have the rest of the day off. That meant no studying or checking work emails. If I wanted to sit and read magazines all afternoon, I would. If it meant having an afternoon nap, I would. I needed to recharge my batteries and not worry about deadlines for a while. 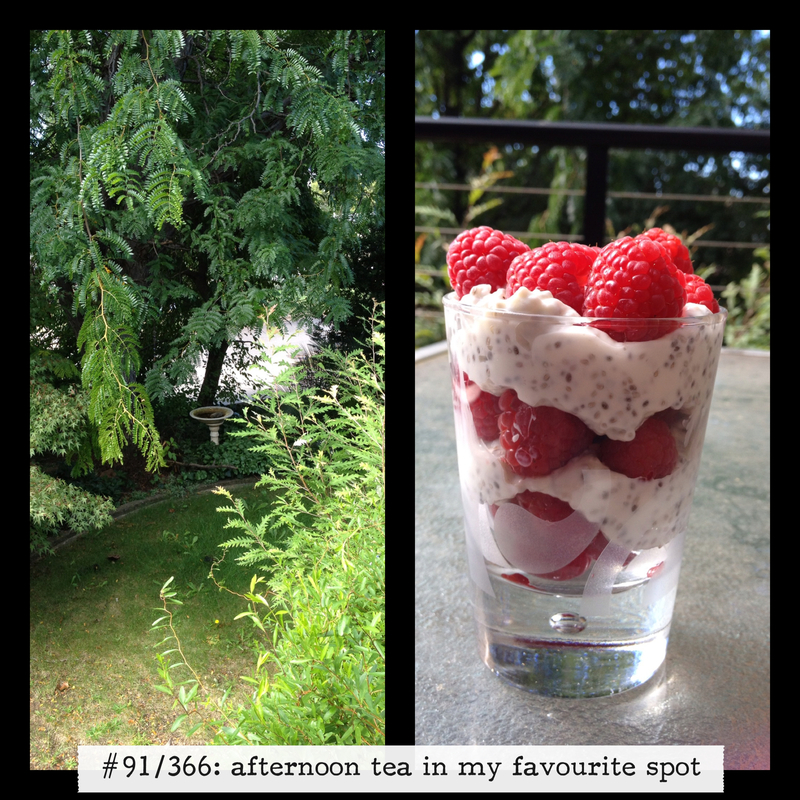 Which is why I was sitting out on the front deck late afternoon (my favourite spot) eating natural yoghurt with chia seeds and fresh raspberries. I tarted it up by serving it in a glass. It was perfect – the weather was warm and sunny with a slight breeze, just right for sitting outside and doing nothing. No checking emails, or Twitter, or Facebook. Just sitting, just being. Run #122 done and dusted. Lets hope tomorrow’s run, #123, is an improvement – all my runs this week have felt like I’m running in quicksand – getting nowhere fast but sinking rapidly. In case you haven’t noticed I’ve been taking a photo every day so far this year and posting it here, and for 88 days I managed to do this. 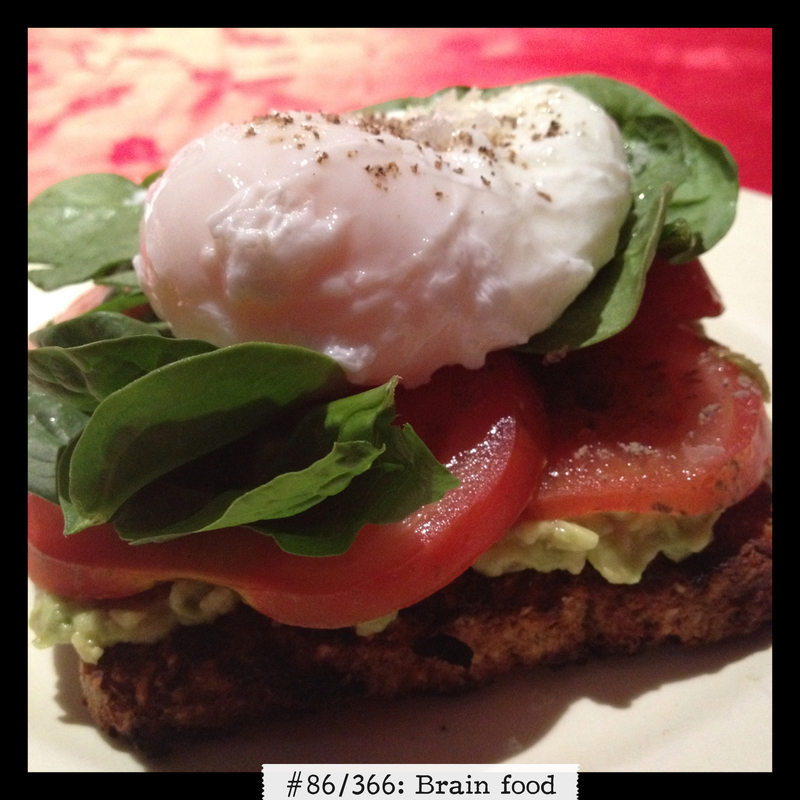 However trying to think up different things to photograph every day is doing my head in, and considering I still have 278 days to go, I headed to Google for inspiration, where I came across the following blog http://www.fatmumslim.com.au (aka Chantelle) and her Photo a Day challenge. Yay- no more having to think of things to photograph, I’ll use the list she has so generously supplied for each month. Today the theme was ‘feet’ hence my shoe shots. 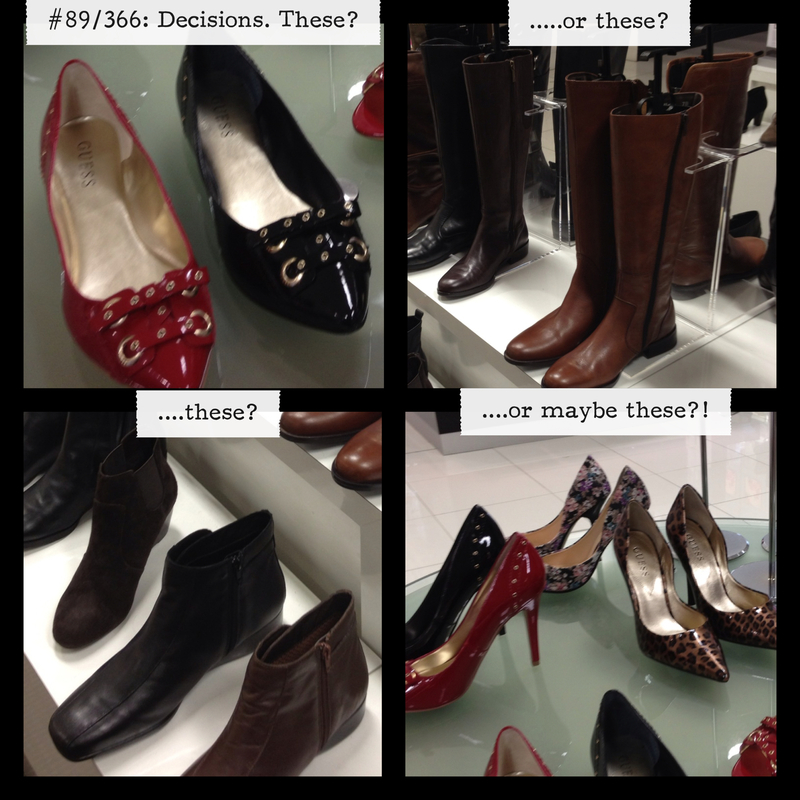 I’m on the lookout for new shoes anyway so this wasn’t a difficult task at all 🙂 though there are so many lovely shoes and only so many dollars to buy! Fortunately, Mr N is at the coast this weekend so there is opportunity for retail therapy with no questions asked or the usual raised eyebrow! Run #121 this morning was a plod – I woke up tired, struggled out of bed and for the first few kilometres was searching for shortcuts to head back home. However I managed to slog out 8km before calling it quits. An early bedtime tonight and hopefully I’ll feel more energised tomorrow. 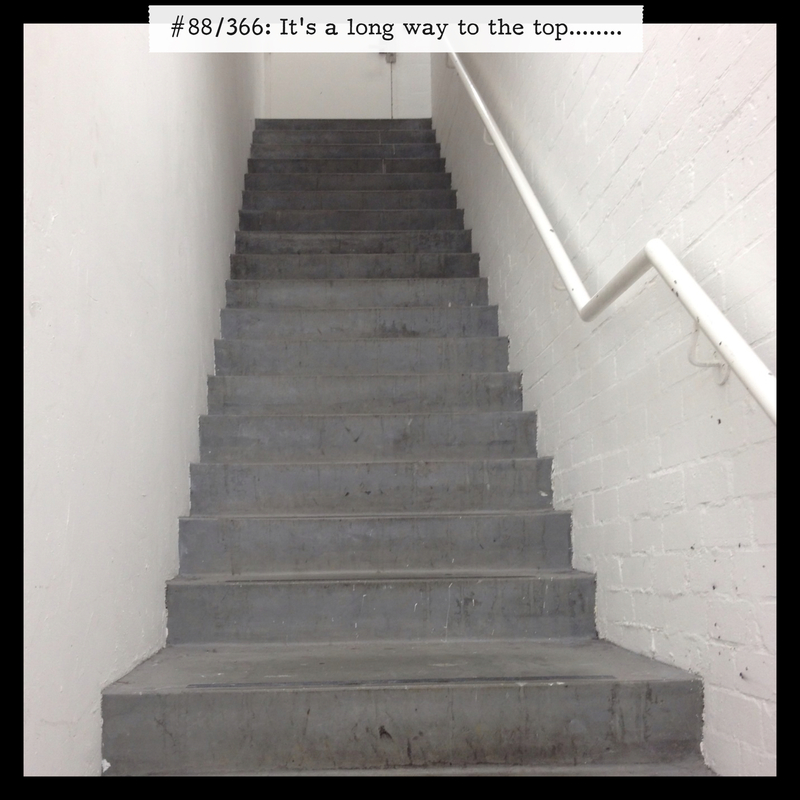 It’s a long way to the top…..
Run #120 this morning – it was raining but I didn’t even think twice about not going for a run. After all, what’s a little rain at 6am?! 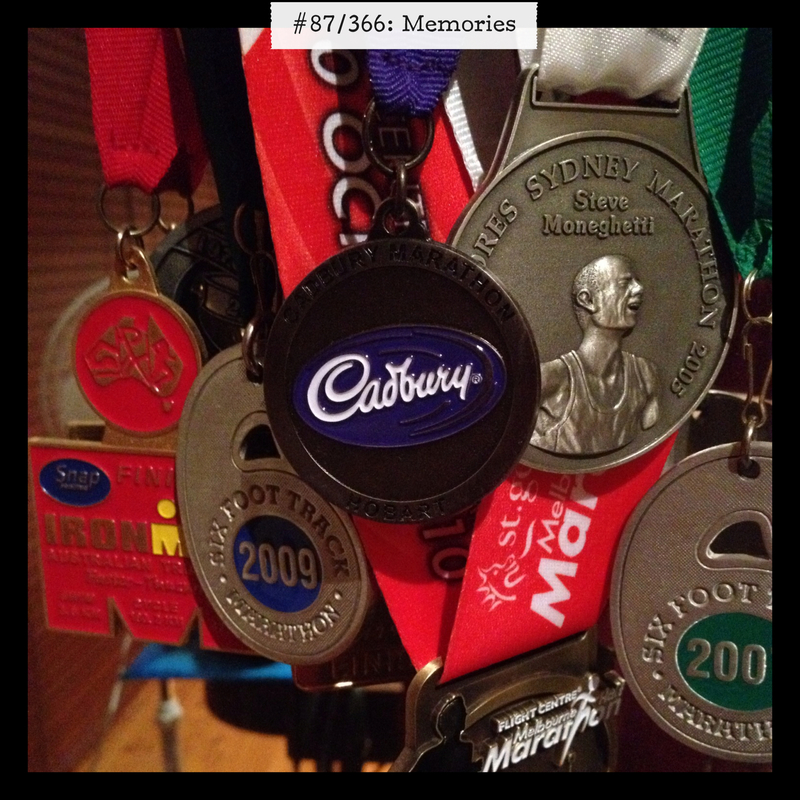 Just some of the medals I’ve got over the years, and all of them associated with memories – some good, some not so good! But the thing is they all represent consistency, stamina, that never-say-die attitude and self belief (some would say stubbornness too!). Probably the medal that means the most to me, however, is the one on the left – Ironman 2004. Going from someone who really struggled with a 400m open water swim in my first triathlon (truth be told, probably the first dozen open water swims – I am not a swimmer!) to being able to complete a 3.8km swim before a 180km cycle and then finishing with a marathon – all.in.one.day – I still find it hard to believe I did that! I don’t think I’ll ever match that feeling of running down the hill towards the finish line, after 13 hours of swimming, cycling and running, and hearing my name being called out as an Ironman finisher. Wow! Finally……..a sleep-in this morning. I had been looking forward to this all week! I think I eventually got up after 9am – there was a brief thought for those doing the vets run at Stromlo this morning. 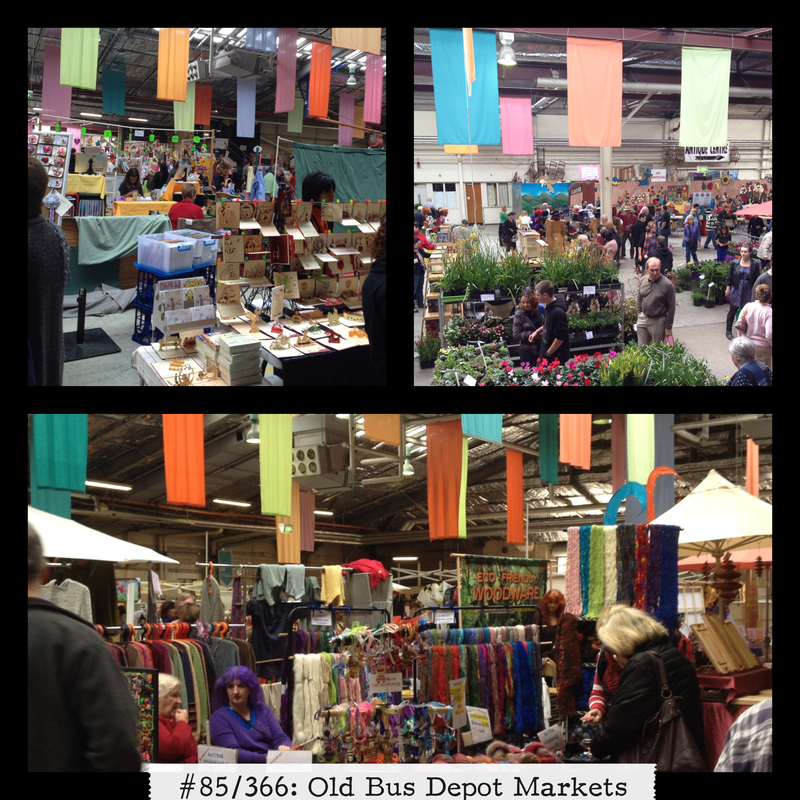 After a leisurely breakfast we headed off to the Old Bus Depot Markets at Kingston. We have a routine we follow whenever we go to these markets: first, a coffee from the The Outpost, then we walk around the upper area (which is mostly arts, crafts, clothing, furniture, etc), stopping whenever something catches our eye. I particularly love the stalls selling hand dyed wools – really beautiful colours and textures. Then we head downstairs to the food area – my favourite 😉 Today I stocked up on Real Chai (the best) and Mr N bought fudge easter eggs for his sister. I bought a chocolate dipped strawberry, as I always do, from the berry stall. I was up at 5am this morning to have something to eat plus a coffee before my long run. Today it was a planned 20km so I needed to fuel up before. There have been a couple of occasions recently where I’ve neglected to eat before the long runs and I’ve paid for it in terms of no energy and feeling faint and light-headed. I had a feeling it was going to be chilly outside because the heater had come on – that’s not a good sign. 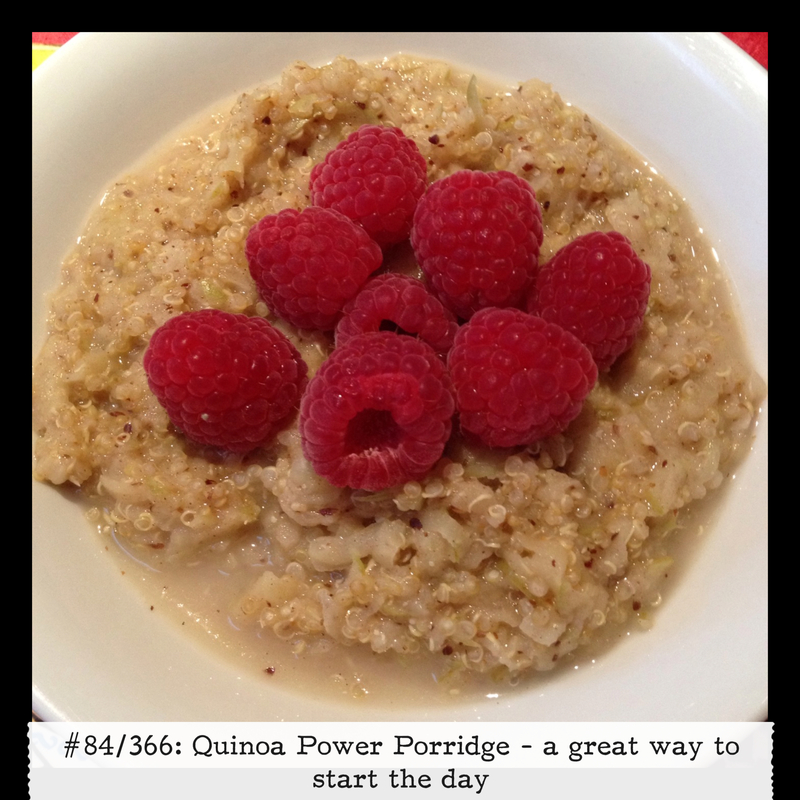 A healthy start to the day and I needed it. 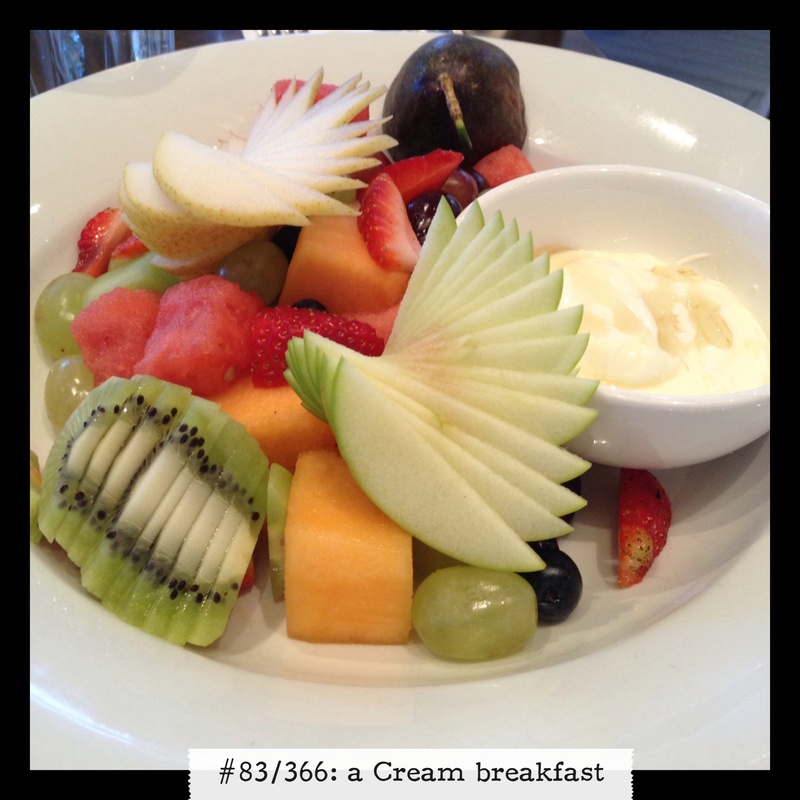 My energy levels were almost non-existent though I did manage to fit in a 4km run (#115) before breakfast with two of my favourite people at Cream cafe. I think the two glasses of champagne that I had at dinner last night didn’t help either – I’m not used to having alcohol, its been a while. Lately, probably as a reaction to all the work craziness that is happening, I’ve been really appreciating the small pleasures in life. 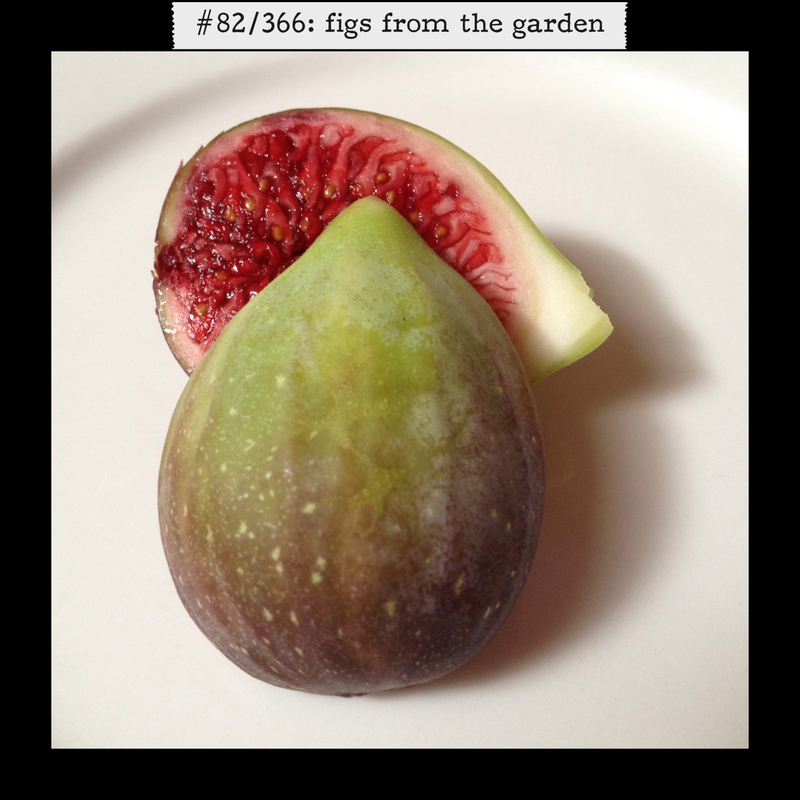 The figs from our tree literally ripening overnight and bursting with deliciousness, fresh strawberries which always taste best when eaten as soon as they’ve been picked, impromptu coffees with good friends who are willing to sit and listen to me unload all of my problems, the cockatoos walking along the ledge outside my window at work, the chatter of the rosellas high up in the trees as I pass underneath on my way to work from the car park. And tonight, dinner with friends who, while they may only live several streets away from us, we never seem to catch up with often enough. Run #113 was an 8km run early this morning. I almost ran into a fellow runner in the dark when we crossed paths, even though he was wearing a bright headlight. That early in the morning my brain doesn’t always compute! Otherwise it was all quiet out on the streets at 5.30am – funny that.